eFarmer Tool - Does all the clicking in Facebook games for you! 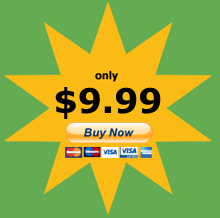 Compatible with the games above and many, many more! make fishing easy and fun! quickly pick up bonus items! and... no more tired finger! 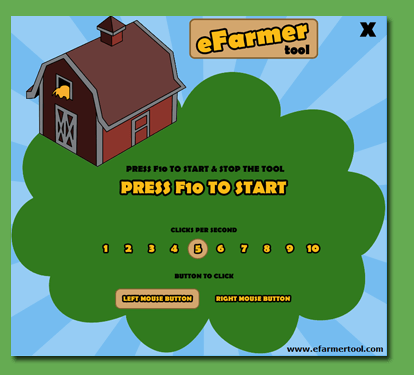 The eFarmer Tool is an application developed to do all the clicking for you in Facebook games. The eFarmer Tool is ideal for FarmVille, FarmVille 2, Farm Town, Family Farm, CityVille and many, many more. The eFarmer Tool takes complete control of clicking your mouse. Set how many clicks you require per second, which mouse button to click and then press the shortcut keys on your keyboard to activate the clicking. All you have to do is move your cursor around the screen and the work is done automatically! Up to 50x the speed and efficiency! No more tired finger! The eFarmer Tool is now available for Windows and Mac!